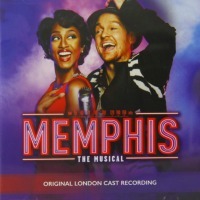 Original London Cast, 2015 (First Night) (3 / 5) Five years after it opened on Broadway, Memphis played for a year on London’s West End. Though one can detect slight differences in the arrangements, orchestrations, and tempi of several songs, the only significant dissimilarities between the Broadway and London cast albums lie in the singing of the lead performers. As Huey, a character loosely inspired by the trailblazing, Memphis-based, white DJ Dewey Phillips (who championed black music), Killian Donnelly offers smoother, prettier, more technically polished singing than Chad Kimball in his renditions of the heartfelt “The Music of My Soul” and “Memphis Lives in Me,” as well as the wild “Crazy Little Huey.” Beverley Knight sings Felicia’s songs with greater authority than Montego Glover, perhaps too much authority for the vulnerable character. Overall, the Broadway album proves more effective as theater music; there’s more variety among the vocal qualities of the cast members, so their characters come through with greater distinction. “She’s My Sister,” a heated duet between Huey and Felicia’s brother, generates less tension on the London album and is harder to follow because the performers’ voices don’t contrast as forcefully as do those of their Broadway counterparts. 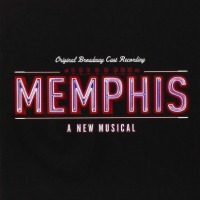 But whereas the Broadway album offers a superfluous bonus track of Memphis composer/co-lyricist David Bryan singing “The Music of My Soul” over his own too-loud piano accompaniment, the London recording’s bonus is an impressive performance by Bryan of “Memphis Lives in Me.” — L.J.S.